On Saturday September 15th we had a BBQ for our new Zoe’s Place Home. It was a beautiful day and we are so thrilled to see so many of our supporters welcome these young women and their babies to the neighborhood. The delicious food was generously provided by Maschio’s Food Services, Inc. The sun was shining, the kids were running and playing in the beautiful backyard and the young moms were proud to welcome everyone to their new home! Thank you to all that made this move happen and to everyone that supports Zoe’s Place! We could not have this home without the support of our donors and volunteers. 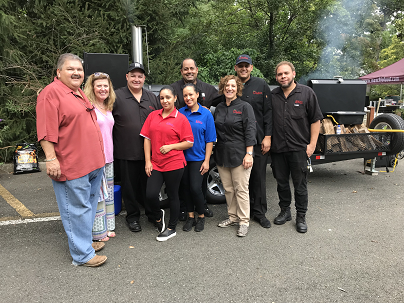 And a special thank you to Maschio’s Food Services, Inc. for a wonderful and extra delicious BBQ! To see pictures of the event click here.